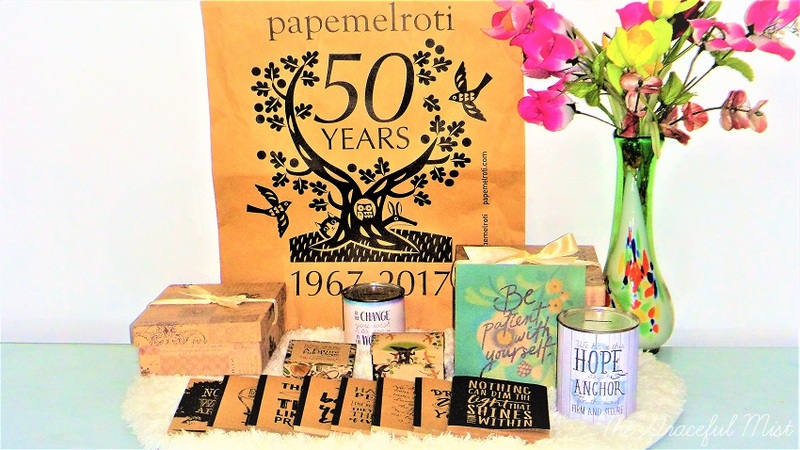 Papemelroti is a Filipino art, craft, and gift store which sells a variety of artsy, crafty, eco-friendly, handmade, Filipiniana inspired and recycled items. They sell bags, boxes, crafts, jewelry, picture frames, scrapbook kits and accessories, wall displays, wallpapers, woodcarvings and many other products. They also sell handmade furniture, hold workshops, give free downloadables and offer to customize items. 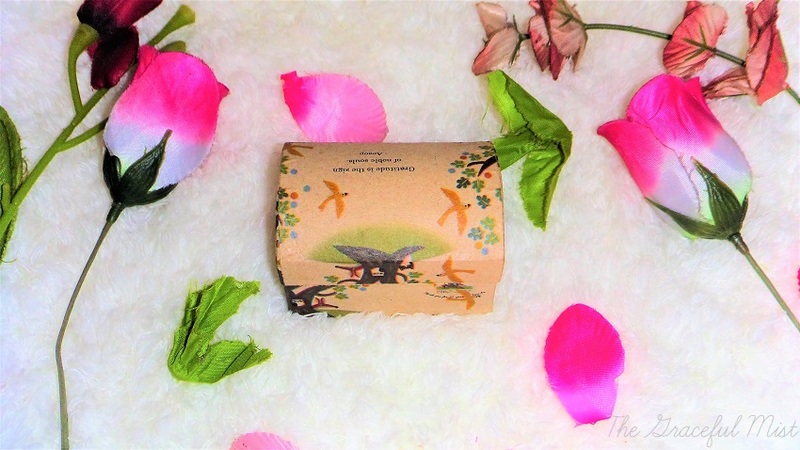 It`s a really cute store with great items especially if I`m looking for gift inspirations. It`s a nice shop I`ve always liked visiting since high school. I still remember visiting their main branch, exploring the variety of items that they sell, and buying cute and vintage stickers, and notepads. Recently, I tried to organize my notes, journals, and planners. I dropped by at one of Papemelroti`s branches to get small notebooks so that all my notes, plans and other things are segregated according to purpose. I also bought other cute things that I can hopefully use a lot. 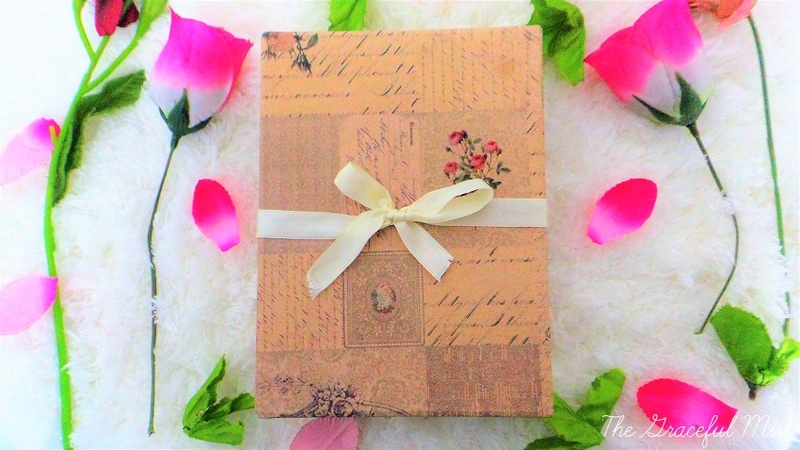 This is a really cute box which looks quite feminine and vintage. In this box, I currently store all my small black and white notebooks I also bought at Papemelroti. I can fit all 8 small notebooks inside. 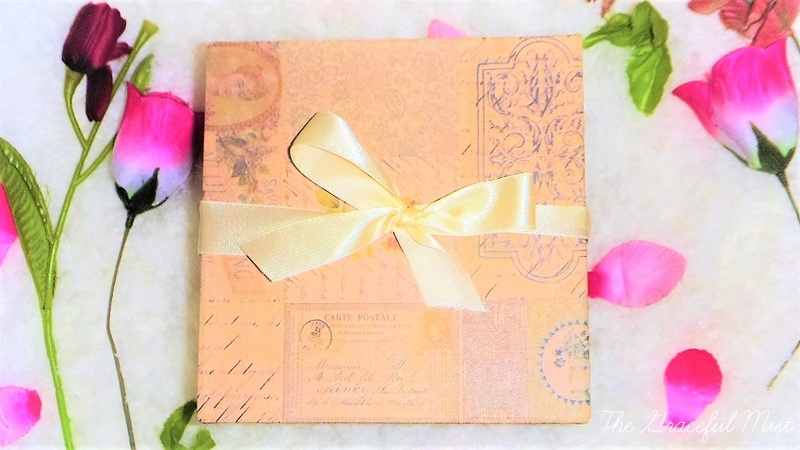 This is a square box that is quite similar to the previous box because they both have botanical patterns and vintage looks. The only difference is the size and price. This is a spare box that I`m currently just using as storage for knick knacks. 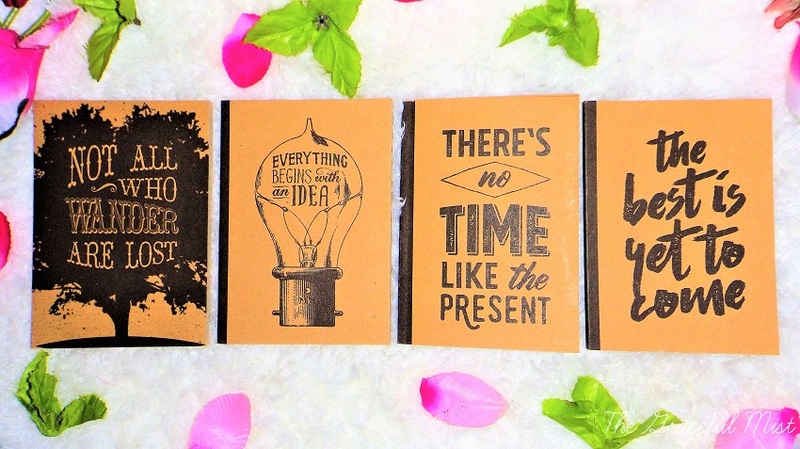 These small notebooks fit most purses even small ones because it`s not thick. 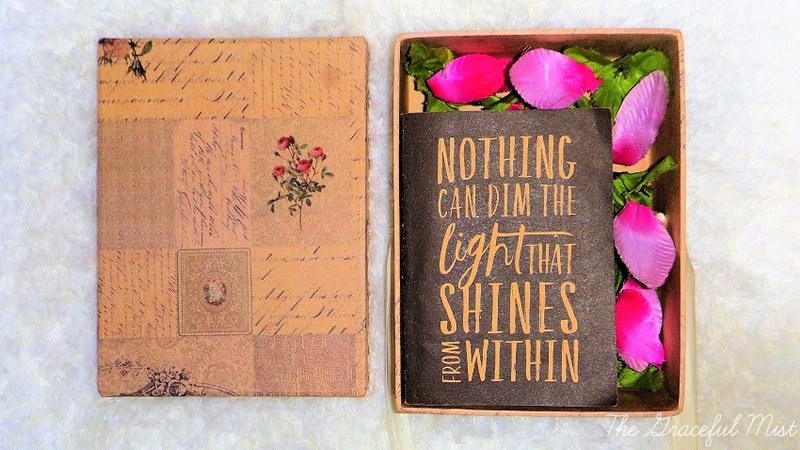 The first notebook with a quote by Lisa May Alcott is for my long-term dreams, goals, and plans in life. The "Dreams don`t work unless you do." notebook is for my long-term plans for my career specifically for a business I would like to create someday. The "Happiest people don`t have the best of everything, they just make the most of everything." notebook is for my daily, weekly, monthly and annual budget and planning. The fourth one which is the "Nothing can dim the light that shines from within." notebook is for my daily devotionals or notes from Church services. The "Not all who wander are lost." notebook is for writing my travel plans and goals. The "Everything begins with an idea." is for writing my tasks, plans, goals, and draft blog posts for my website. The "There`s no time like the present." notebook is for my meal plans and health maintenance. The last notebook which is the "The best is yet to come." is for my future Youtube channel. 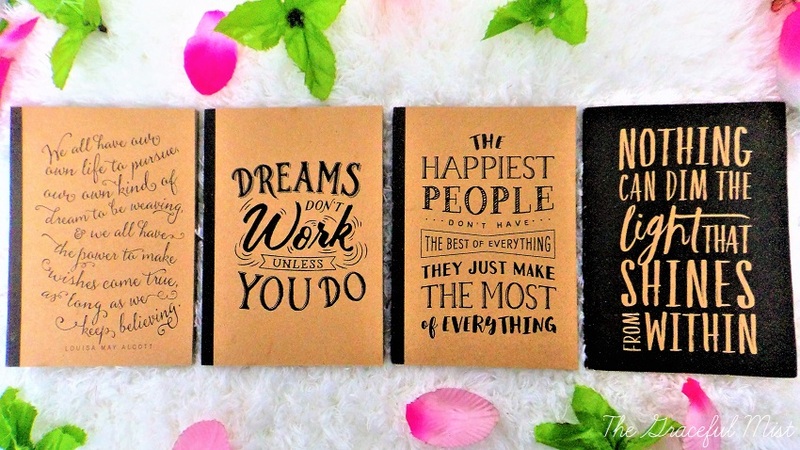 These small notebooks are great because the front pages have inspirational or motivational quotes and sayings that will hopefully send me some positive vibes whenever I think about the past, present and future, and the dreams, goals and plans I hope and pray to accomplish. 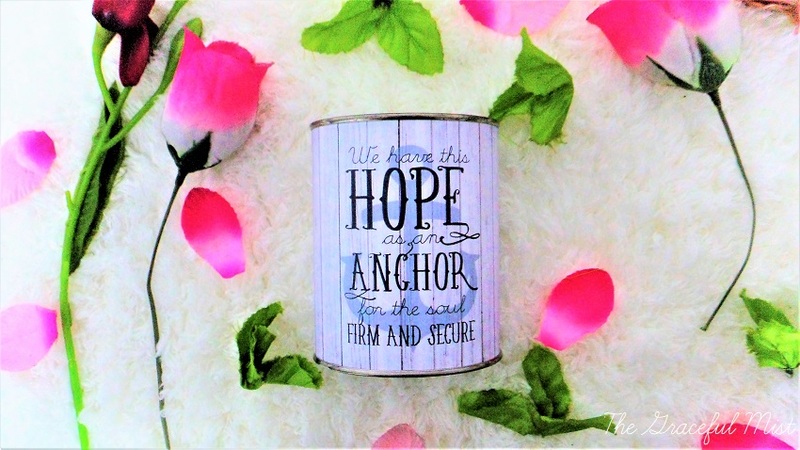 These medium and small tin coin banks have inspirational quotes in front which I greatly appreciate since I always love to be reminded of what can I positively do to myself and other people. Also, these coin banks don`t have a lock with them which is helpful if you want to save money as a student or worker. To open the coin banks, you must use a can opener. The only down side is you can`t reuse the coin banks as coin banks. However, you can still reuse them as a small plant holder, pens and highlighters organizer, and just a general tin can you can store small stuff in after you take out the top lid off. I have always liked this saying in front of the can by one of the people I would like to study, Mahatma Gandhi. Often times, people like to criticize and judge others without looking at how their own lives are going. 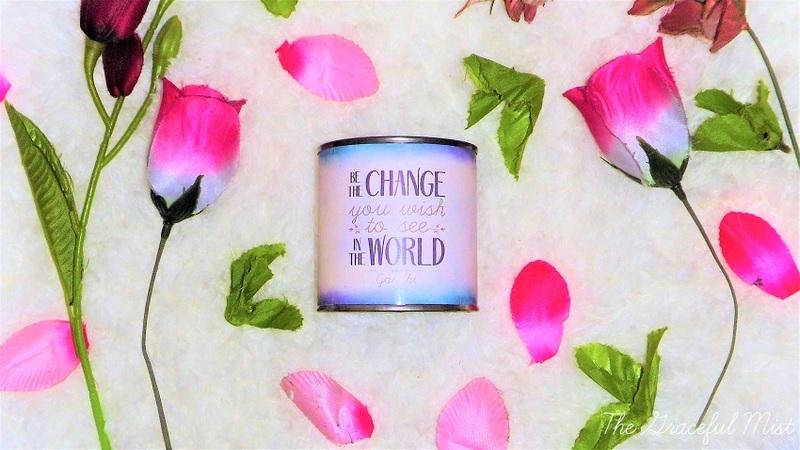 This quote, "Be the change you wish to see in the world." is a great advice for all of us to look at our own faults first and be the model of what we want others or the world to be. Design/Pattern: Varies / "We have the hope as an anchor for the soul firm and secure." and "Be the change you wish to see in the world." This is a cute treasure box. 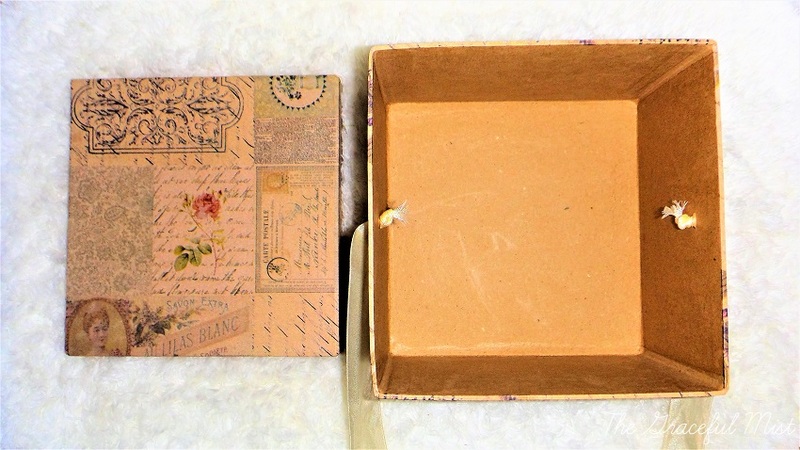 I was hoping they had a mini treasure box that`s also in the same botanical pattern as the other 2 boxes I bought. However, it was not available. 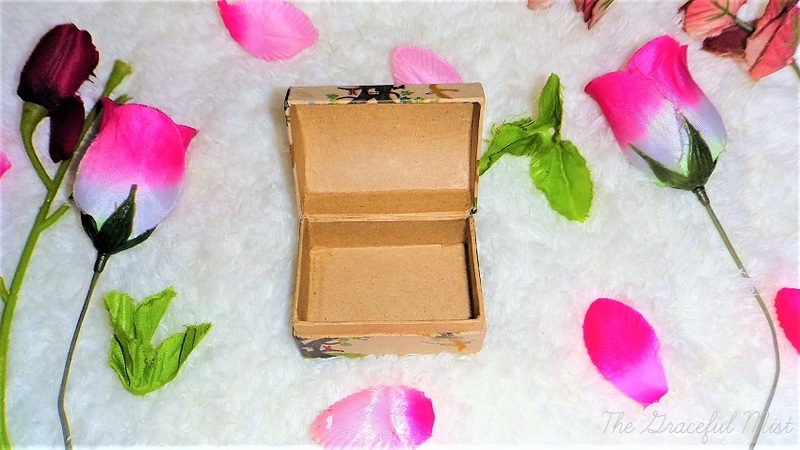 In this mini treasure box, I usually put the money I need to set aside for that week. I do this so that the money is not in my wallet which is helpful to avoid unnecessary spending. 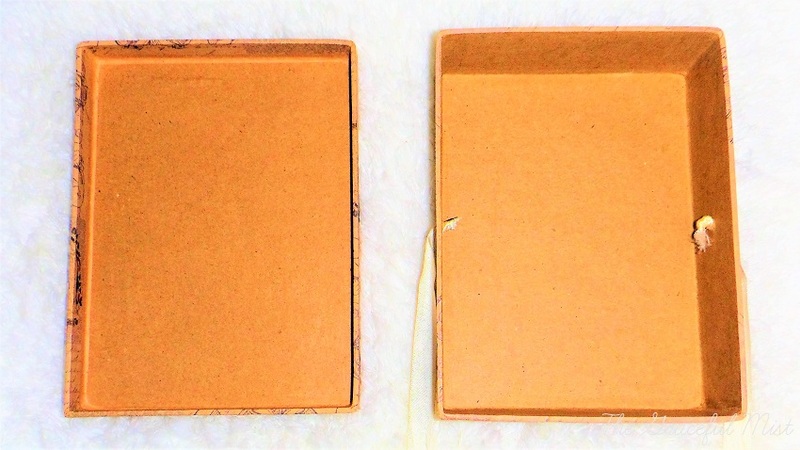 I`ve had 2 kinds of these small boxes since I was in high school. 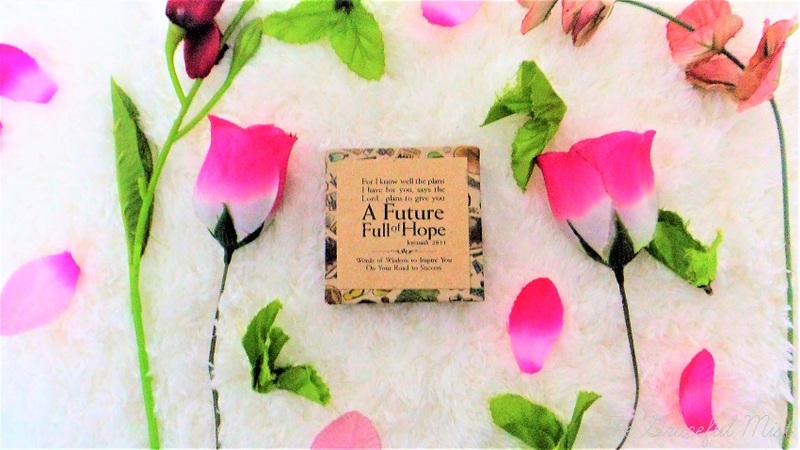 One is a box full of Bible verses which can also serve as "flash cards" if you`re trying to memorize Bible verses. 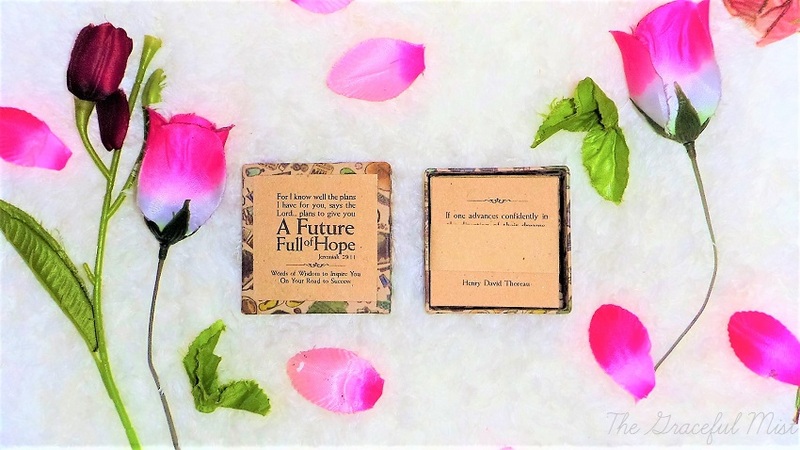 Another one is a box full of beauty tips that mostly suggest using homemade techniques and all-natural ingredients. This box basically contains inspirations from different people and Bible verses. This is a gift for a high school friend I hope to meet really soon. 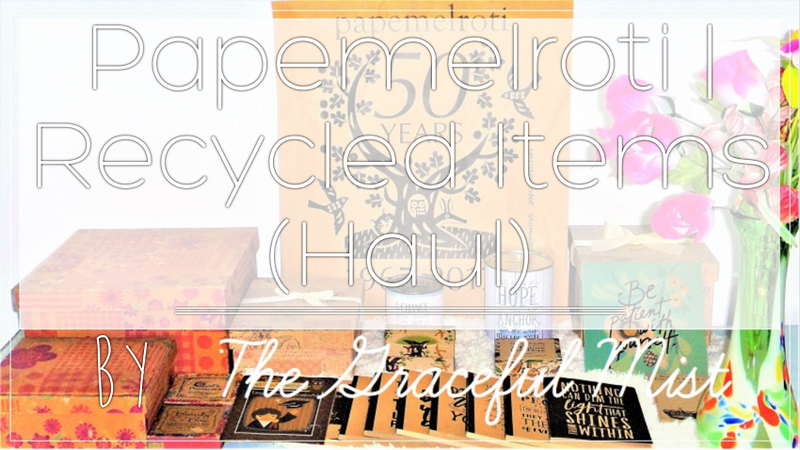 Papemelroti | Recycled and Handmade Items (Haul) - Free Postcard - "Be patient with yourself." When I last visited Papemelroti about a few weeks ago, I received a free post card with a quote I agree with. For this haul, I visited Papemelroti twice. However, I only received a free post card on my second and latest trip there. The items that I bought at Papemelroti are all really cute. I appreciate that most of their products are 100% recycled especially the paper products like notebooks and notepads which have unbleached papers. Also, they have many activities and advocacies that promote creativity, local artisans, and homemade arts. They also currently offer a Papemelroti Privilege Card (PPC) for those who can accumulate purchases worth Php 3,000 (approx. 58.43 USD). This special offer is only available this 2017 because it`s their 50th anniversary. Next year, it will go back to the regular minimum amount of Php 5,000 (approx. 97.39 USD) to avail the PPC. For more information, please visit Papemelroti`s website. 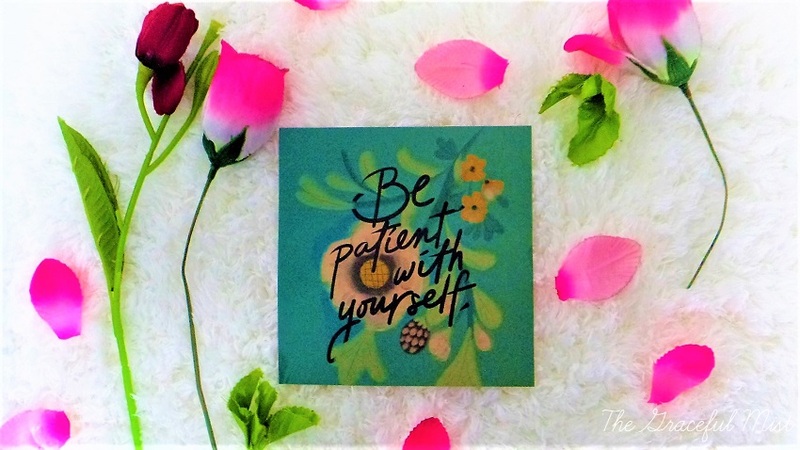 Overall, Papemelroti is a great craft and gift shop which sells cute, feminine and vintage-looking products sprinkled with inspiring and motivating quotes and sayings from notable personalities that will brighten almost anybody`s perspective. Have you ever been in this store? If yes, what are the things you like about their products? If no, what do you think of this store? You may share your thoughts in the comments` section below. Disclaimer: This is not a sponsored post. All opinions in this post were written with utmost honesty and sincerity.